LETRAN will formally introduce the new head coach of the Knights men's basketball team on Tuesday. A news conference has been scheduledto officially welcome Letran's new head coach. Although the advisory didn't state who the next coach will be, it is expected that it will be National University juniors high school coach Jeff Napa. 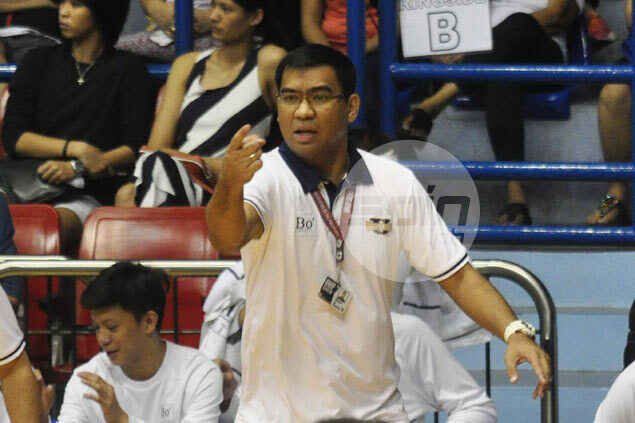 Napa is fresh from leading NU to a third UAAP juniors championship over the last five seasons, and he immediately admitted later than he is in talks with Letran officials on the vacant Knights coaching job. Napa, a former NU player in college, is set to take over a Letran basketball program that is coming off a conquest of the NCAA Season 91 crown but was suddenly left without a coach after Aldin Ayo accepted an offer to take over De La Salle in the UAAP. The Knights will play the coming season without key figures in their Season 91 conquest in Mark Cruz and Kevin Racal. Meanwhile, NU assistant coach Chico Manabat is being eyed to take over the Bullpups program, a source told Spin.ph. Manabat is the husband of volleyball star Dindin Santiago.